The historic massacre—genocide—against Christians is accelerating worldwide. There is no outrage from President Obama (except against Israel). Sadly, much of the church is silent in light of the in light of the persecution brothers and sisters in Christ are suffering. Iraq is home to the Assyrian Christians, started by the original disciples. This is where Jonah preached to Nineveh. They are being wiped out. Is Christianity being purged from the Middle East? In Mosul, Iraq’s 2nd largest city, churches built 2000 years ago are being destroyed or turned into mosques. The militant Islamic ISIS ordered all Christians under their control to convert to Islam, pay a tax—too high to be practical—or be killed. ISIS calls this the dhimma contract. Those who fled left behind their homes, clothes, food, phones, jewelry, belongings, money—everything. 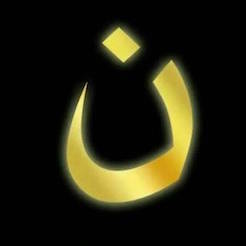 There were over 60,000 Christians living in the city of Mosul alone in 2003. Persecution is also found in other regions of the Middle East, Asia and Africa. Iraq is only in the spotlight because of ISIS. Watch as Tony Perkins discusses the persecution and exodus of Christians in Mosul in this video. We need pastors to pray and educate. And what about you? Are you doing all you can? Donating to help support our persecuted brothers and sisters? Praying for our leaders (1 Timothy 2:1-2)? Praying for our sisters and brothers under persecution? Praying for Christians to be salt and light (Mathew 5:13-16)? Praying if you should go overseas to help? Remember, the truth of the gospel, the power of the Holy Spirit is the only message/action that can turn terrorists into missionaries (as with Paul) and sinners into saints. Just as William Wilberforce knew, only God can take an impossible situation and turn it into good, take egotistical politicians and turn them into transformational reformers. It’s time for Christians to step up for Christ and show love in their work and deeds and to pray for our brothers and sisters in Christ.